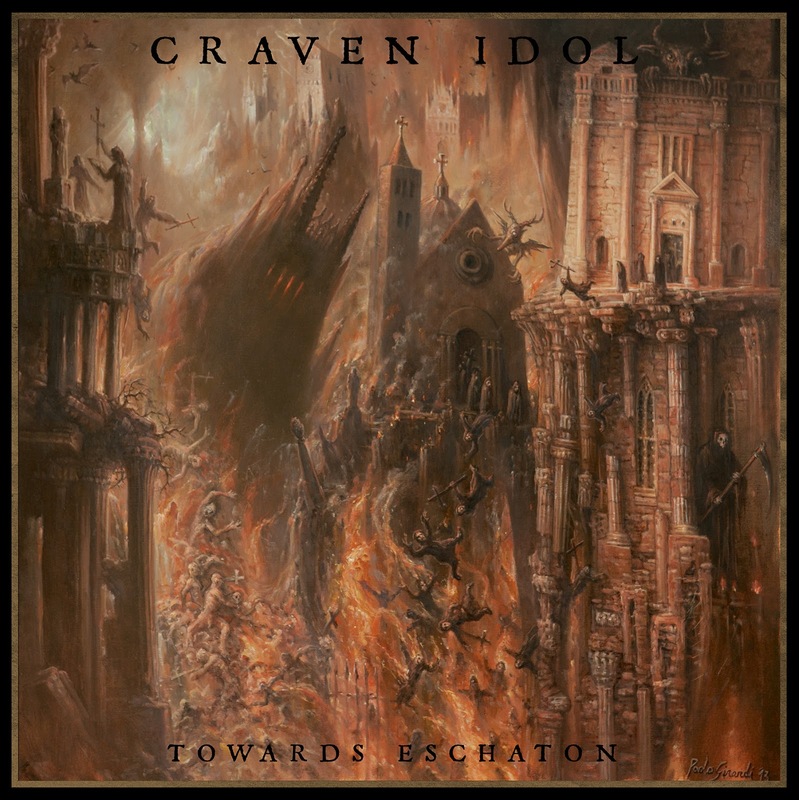 Death metal band Craven Idol have arrived, with their debut album Towards Eschaton. This is the UK-based band’s first major release on a label, although their demo, released in 2006, did sell out all 50 copies. Raspy, caustic vocals in these eight tracks blend with ‘fast to blast’ tempo metal. The band seems to be a little tighter, cleaner, or more catchy then the usual ‘death-thrash’ fare served. The material evokes earlier Scandinavian death metal bands in terms of ‘riff factory’ song composition and overall feel (but without the same instant wow factor the early progenitors of the genre possessed).